My first foray into retail sales was a pretty random one. After a failed stint at an ice cream parlour during my secondary school years, I chose a life of selling shoes instead. Despite the events that led me down the retail path, I've learned a thing or two about sales. 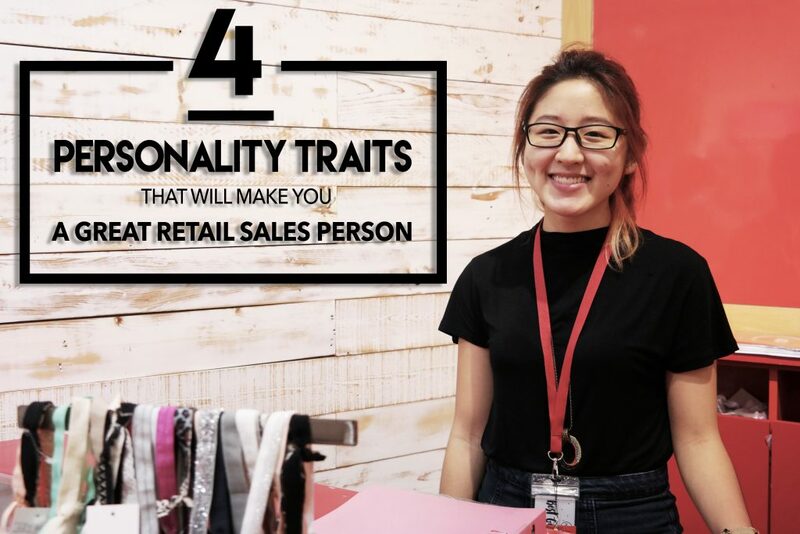 It's not necessarily a path suited for everyone, but if you have these four traits, or you'd like to develop them, you're likely a good fit for sales. In sales, you have to be fearless. Talking to people can be challenging, and customers may even ignore you. "I'm just looking around" or a straight up "no" is a common response on the sales floor. But a good salesperson has to power through that and see rejection as part of the job. Having a thick skin causes you to be unfazed when met with setbacks, seeing them as an opportunity to become better at what you do. Also remember, how people respond to you is as much about them as it is about you. The fact is that there will be days where you may not get too many sales. Maybe the rain prevented customers from walking in or lady luck just wasn't on your side. Being positive about things will help you get past these times and make the best out of bad situations. A particularly slow day may be a good opportunity to learn more about your products or bounce ideas off your manager! Sales is a customer-oriented job and part of the job is helping out customers with their needs. Being helpful can also help you with getting more sales. Instead of just backing off after a customer rejects you, try a response like “that’s great, if you need a certain size or colour, I’m over here to help” or “while you’re looking, you’ll notice this section over here is on sale and I have more sizes in the back”. Those responses have done wonders for me in my years, and I'm sure they'll help you too. Sales is a profession that undergoes changes really quickly. There are always new products around the corner, new developments in the company that you have to keep customers apprised , and new skills to learn. When I first started out, my abilities were far from what they are today. But through hard work and coaching from my colleagues, I managed to rake in S$25 an hour based on commissions while my friends were lucky to be making S$7! Knowledge is power, and if you're the type to never say no to a chance to develop new skills, you're going to go far in sales! So if you possess these traits and strive to give your best in everything you do, then sales might be just the job for you. If you don't think you're a natural fit, don't rule out sales though! Working in sales for awhile will help to develop these traits in you, which will help you in many other job functions in the future. Find your next retail sales job on FastJobs! Don’t be surprised if you look back 10 years later and thank yourself for working in sales! Download the FastJobs app for faster browsing on the go!